This year’s high school graduates were all born in the year 2000. That means they grew up in a world where every home had a television and a computer. Within the last few years, the computing power on their Smartphones was lightyears ahead of all the computers it took to send a ship to the moon. For all their challenges, this generation of kids has it very easy when it comes to accessing information and getting help from computer programs. You would be showing your age if you admit to knowing how to do long division on paper! All of this technology is meant to make our lives easier. But there are always those chores around the house that are going to burdensome no matter how many computers you have. At least, that is how it was before Junk King Denver rolled into town and started collecting junk from homes and businesses. 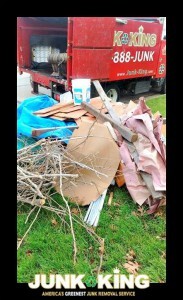 That service alone lifts a huge burden off your shoulders when it comes to clearing out rubbish from your property. Now Junk King Denver has taken a leap forward by adding the pricing estimator to their website. This combines the help of a computer program with the help of movers. That’s the ultimate match up! The pricing estimator lets you create a list of all the items you want taken from your home. They break down the items into categories like furniture, electronics and appliances. Once you’ve clicked on all the things you want to get rid of, you’ll see the estimate of your fee. Keep in mind that this fee covers all the labor. That includes as much time as it takes to get your stuff removed from your home. The fee also includes the transportation and drop off expenses. When you compare that to what it would cost if you did this work on your own you’ll see it’s a very fair price. When you’re done making your list, you can set up your appointment on the same page and even engage in a live chat with a Junk King rep if you have more questions. Thanks to how easy Junk King Denver makes getting rid of your junk, you can get your home clear of rubbish today without lifting a finger! This entry was posted in Denver Junk Removal and tagged Junk King, junk removal, pricing estimator on June 30, 2018 by Junk King. Last updated June 30, 2018 . 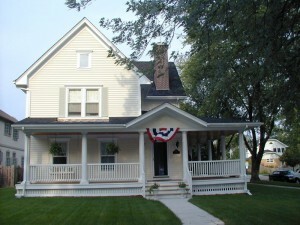 Which porch on your home do you spend more time on, the back or the front? A front yard porch is perfect for comfy chairs to sit in and relax after a long day. It’s a perfect spot after dinner on a cool evening. Out back, the porch often becomes an extension of the house where you cook, eat and play. All this wonderful porch time works when you’ve created a comfortable space and that means getting rid of rubbish and clutter. If you need to declutter your porch, then you need to bring in Junk King Denver. Just as a porch can become an extension of your living space, it can also become an extension of your storage space. It’s not a stretch to imagine an old appliance gets shoved onto the porch to make room for a new one. There are plenty of porches with old washers and dishwashers tucked in the corner. There could also be a lot of items underneath a porch that are being kept stored like lumber or pipes. The problem with this type of storage is that these things are exposed to the elements. If only takes one rainstorm to render them useless. It makes a lot more sense to get those things off and out from under your porch. That’s where Junk King comes into play. When you work with Junk King, you’ll be partnered with a pair of movers who know how to lift and load heavy objects. You might have managed to push that bulky item out to your porch but that doesn’t mean you can carrying down the steps and put it into a truck. Leave that for the Junk King crew. Once Junk King declutters your porch they can target other storage areas in your home. Where do you have the most rubbish: the garage, basement or closet? Maybe all three of those areas could stand with some decluttering action from Junk King. One thing is for sure: After you hire Junk King Denver to declutter your porch and home you’ll wonder why you waited so long! Make that call to Junk King today. This entry was posted in Denver Junk Removal and tagged declutter, Junk King, porch on June 23, 2018 by Junk King. Last updated June 23, 2018 .